It’s a concept, man. It’s a dream. It’s our time now–and God is an absentee landlord! This is a blog about movies, inspired by what we consider to be the most unstoppable force in modern cinema. It all stemmed from a barroom conversation several years ago, when we realized that with Big Al, there is no middle ground. It’s either Good Pacino or Bad Pacino. He doesn’t play it safe. He makes. A choice. It’s a state of mind, friend. 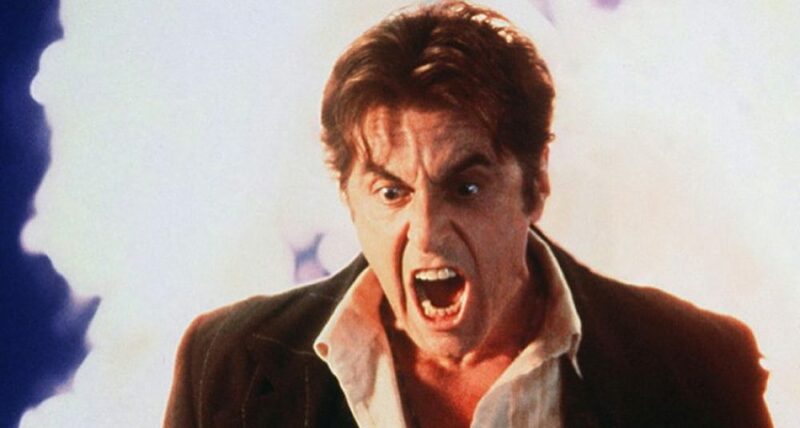 This entry was posted in Uncategorized and tagged Devil's Advocate, pacino, Scarface, The Godfather by James Oliphant. Bookmark the permalink.